The International Monetary Fund said India’s growth slowed last year, with the economy falling back behind China. The slowdown is attributed to the Indian government’s demonetization which has caused a cash crisis in the country. According to the IMF World Economic Outlook, India’s economic growth stood at 6.6 percent in 2016 compared with China's 6.7 percent. 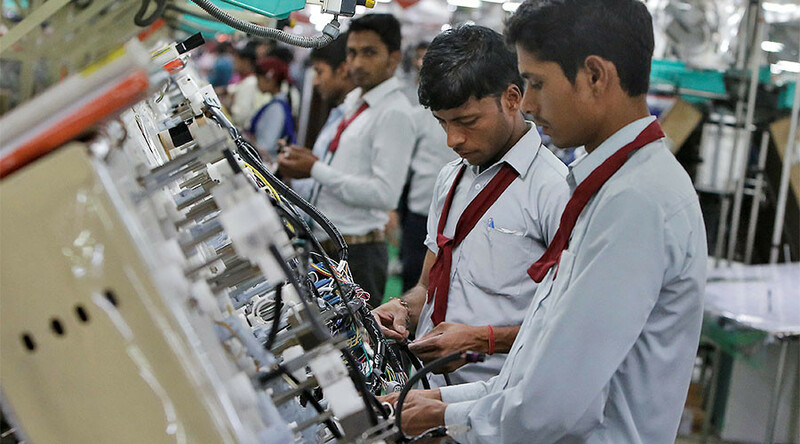 In 2015, Indian growth was 7.6 percent. The IMF said it had lowered forecasts for India growth in the current fiscal year due to "temporary negative consumption shock" of the currency invalidation. "In India, the growth forecast for the current (2016-17) and next fiscal year were trimmed by one percentage point and 0.4 percentage point, respectively, primarily due to the temporary negative consumption shock induced by cash shortages and payment disruptions associated with the recent currency note withdrawal and exchange initiative," the IMF said. Last week the World Bank also decelerated India's GDP growth for 2016-17 fiscal year to seven percent from its previous estimates of 7.6 percent. Indian Prime Minister Narendra Modi announced in November the government’s decision to withdraw the two largest rupee notes, explaining the move as part of the fight against corruption. The discontinued 500 and 1,000 rupee bills (worth about $7.35, $14.7) made up 86 percent of India's currency in circulation. The dramatic decision caused chaos as cash machines began to run out of money with people rushing banks to exchange the old currency. Government figures showed India grew at 7.3 percent in the quarter that ended in September, before the cash ban. The IMF said it expects India’s economy to recover to 7.2 percent growth this year and accelerate to 7.7 percent in 2018. China is projected to continue decelerating, to 6.5 percent in 2017 and six percent the year after.